First of all, a big thank you to Kristy for having me here today. Pale Moon Walking has a female, former-gunfighter-turned-sheriff. It’s got a US federal marshal who’s been subjected to government experiments. It’s got aliens, politicians, and secrets galore. There’s even a woman repeat-offender who terrorizes the town, and let’s not forget Pastor Endicott. He’s got A Past. I don’t think I’m quite through with him yet. 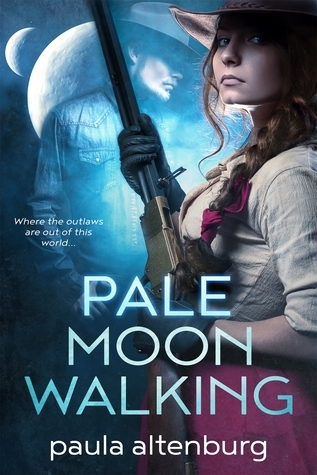 If you’re tastes run toward eclectic western romances with a bit of paranormal/sci fi and humor thrown in, then Pale Moon Walking is the story for you. I think if you’re open to westerns with an unusual twist, this could work for you, too. I tried to keep the historical details credible. You be the judge. We can thank science and Star Trek for those nanoparticles, though. 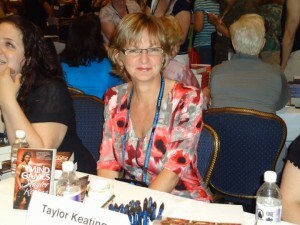 Wonderful guest post. I like that her books have a little of everything and well “a few aliens were harmed in the writing of this story… You can take that up with the appropriate authorities” LOL that just makes me more interested in checking out this author and her work. I also love the covers!